Are you looking for a unique way to raise money for your organization? 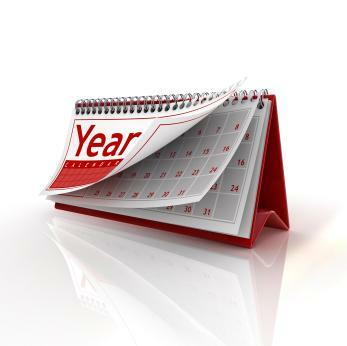 Creating and marketing a fundraising calendar may be a great option. Select a theme that is related to your organization that will also appeal to supporters and the general public. A successful calendar fundraiser can bring in profits and as attract interest in your cause. Calendars can be a profitable item to sell to raise money as well as a way to increase awareness for your organization. Nonprofit organizations, churches and schools can all use this type of fundraiser to generate revenue for their causes. There are several factors to consider when planning a calendar fundraiser such as the theme of the calendar, how you plan to produce it and how much to sell it for. Fundraising calendar options are virtually endless. There is no set rule on what you can or cannot do for this type of fundraising project. Be creative and be sure to reflect your organization as best as possible in the calendar. Raising awareness can be as important as raising money in many cases. Always put your contact information in the calendar so people know where and how to contact you for more information or to perhaps make a donation to your cause. Deciding on a theme for the calendar is a way to show what your organization is about. For example, if you work with children, why not have them draw a picture to use for each month? Nature conservation organizations may wish to use photographs of nature in the community where the organization is based. Dogs and cats: Animal shelters and rescue groups can hold a photo contest then use the winning photos in a calendar. This idea raises money in two ways. Charge an entry fee for the photo content then sell calendars for a profit. Recipes: Hold a recipe contest and feature the winning recipes in a calendar that can be sold at local craft fairs, bookstores and coffee shops. Sports teams: The high school football team, soccer team and hockey team can all be featured in a school-related calendar or feature one of the teams separately to raise money for it alone. Cheerleaders can be featured and included in the calendar as well as coaches and anyone who assists with the team. Historical places: Photograph places of significance in your community such as the museum, library, courthouse, etc. Local celebrities: The mayor, news anchors, school principals, restaurant owners and prominent citizens are all great to include in your calendar. Other local celebrities could be representatives of the police and fire departments. Sites like Shutterfly offer volume discounts on calendars that can be used for fundraising campaigns. All ordering is done online so there is no hassle and you have total control of what your calendar will look like. You can also check with local printers in your area to see if they are willing to donate the cost of printing for your project. In exchange, you can give them publicity in your calendar. To raise more money, consider selling sponsorships that can be featured in the calendar or assigned to a specific month. Another idea is to have local businesses purchase ads or coupons as part of the calendar. There are many different ways to sell your calendar once it's completed. You ask local shops, bookstores and restaurants to have several on display that can be sold. You can also sell your calendars online. If your organization has a website, be sure to add a feature about the calendar fundraiser as well as any contact information on how to purchase one. You may also want to market them through eBay or the Amazon seller's program.